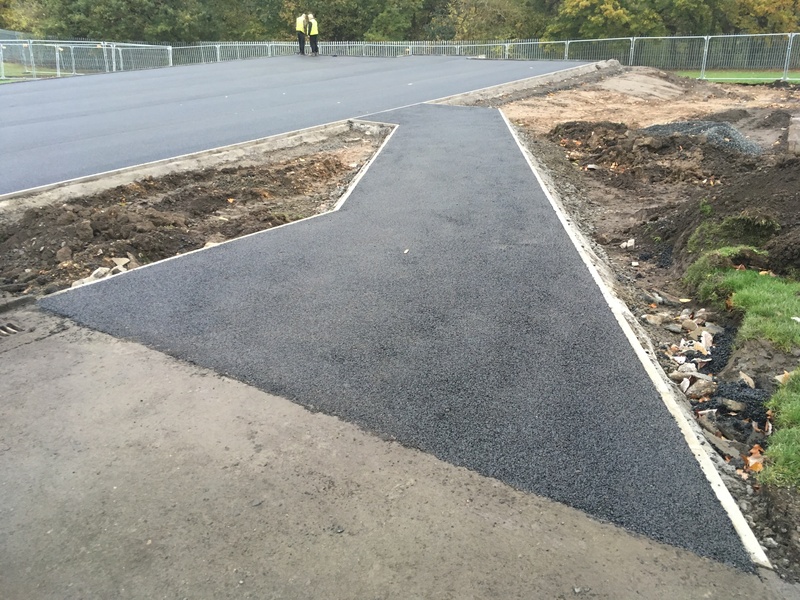 We were awarded this contract following a successful tender bid to Newcastle City Council. 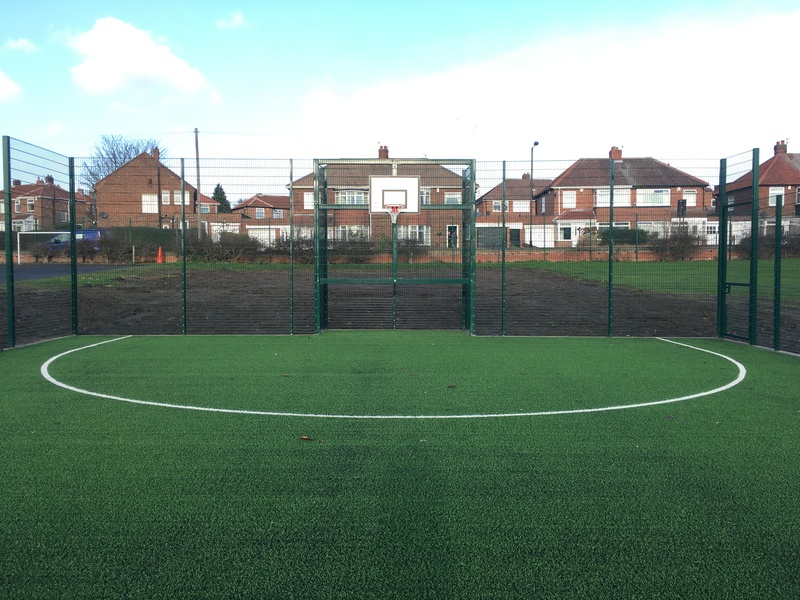 These works consisted of creating a Multi User Games Area (MUGA) on the playing field of the school. 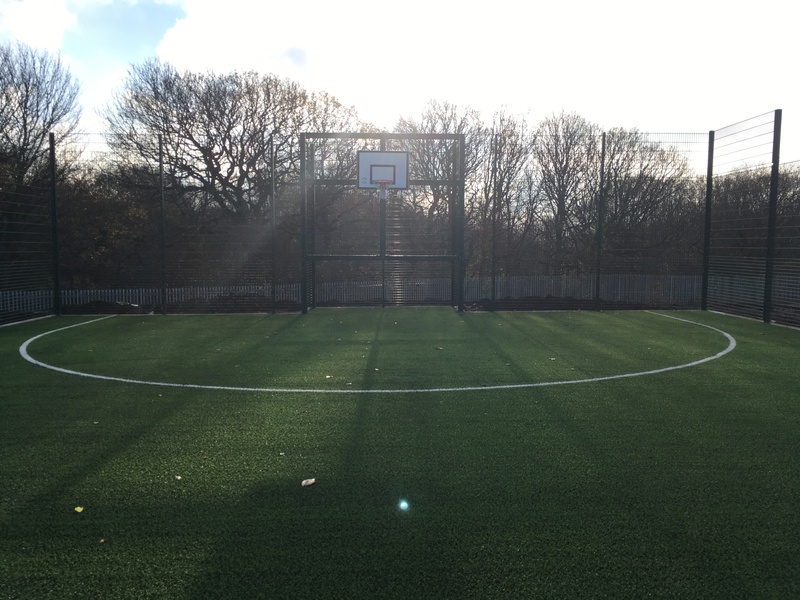 The games area can be used for both football and basketball by the school children. 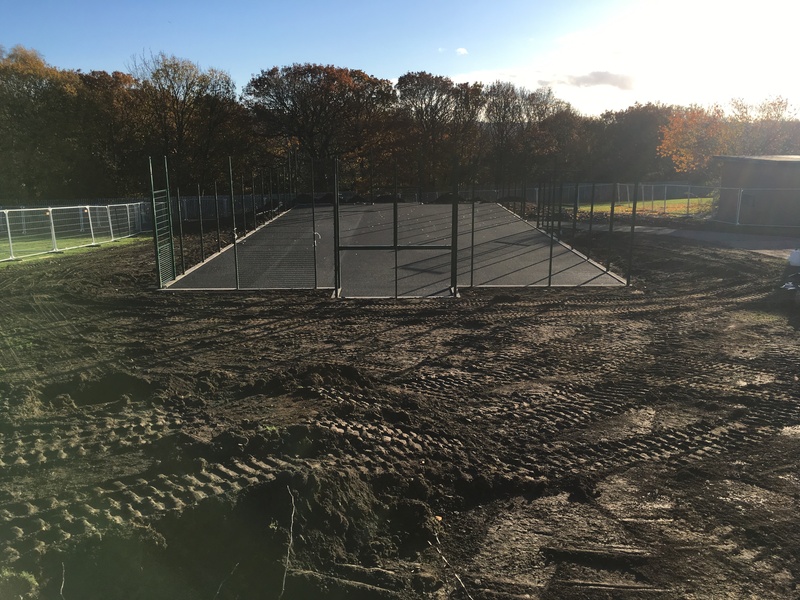 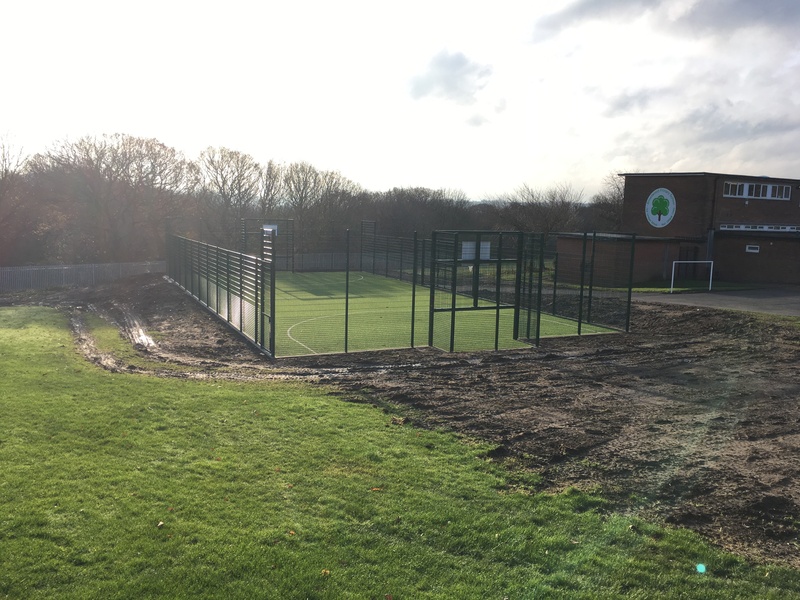 Due to the current playing field being on a slope, earthworks were required to create a level platform for the MUGA. 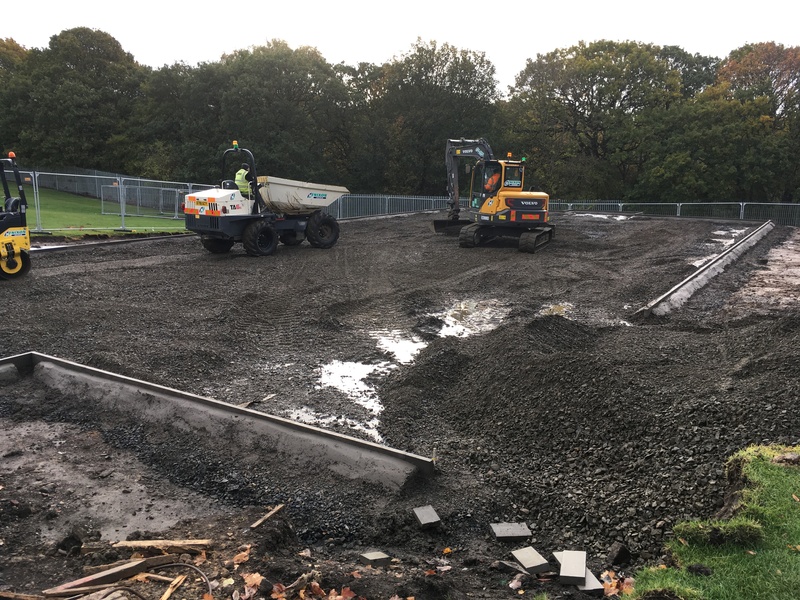 We also created an attenuation area at the bottom of the slope to assist in taking away excess water from the field. 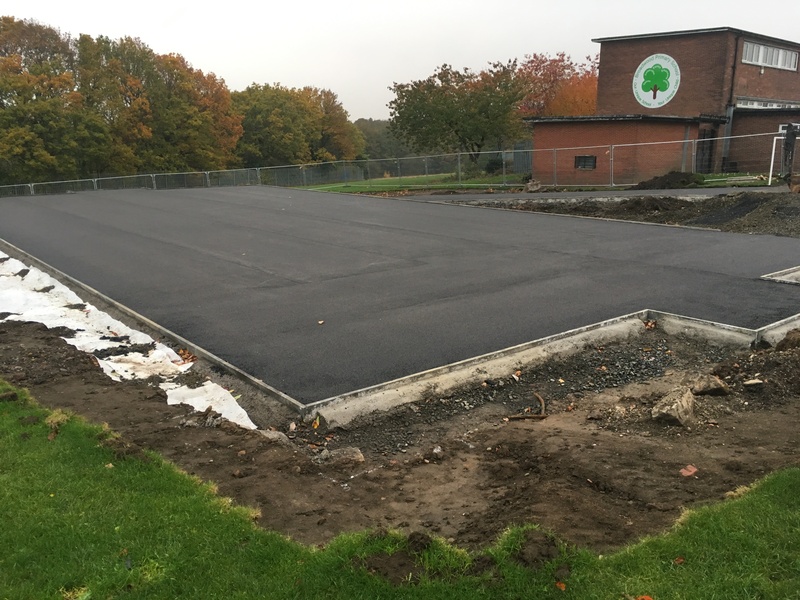 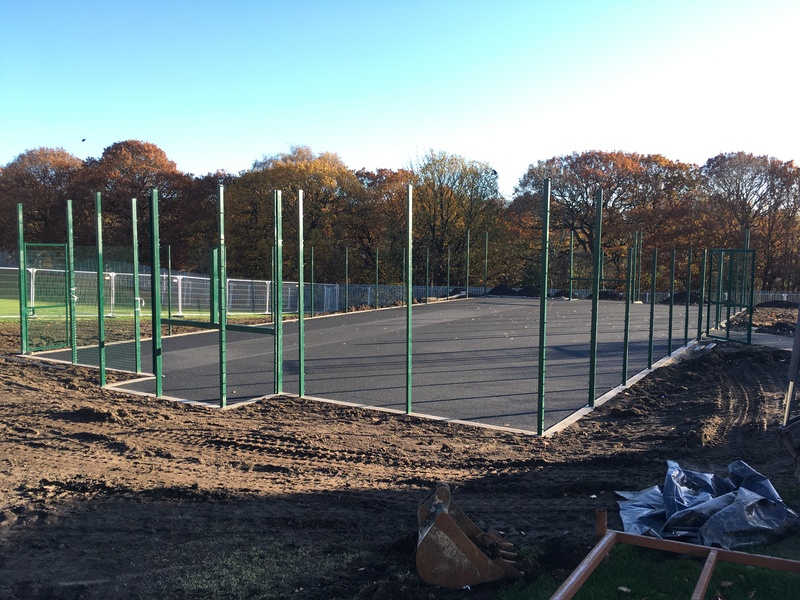 Once the earthworks were carried out we were able to install the base for the MUGA. 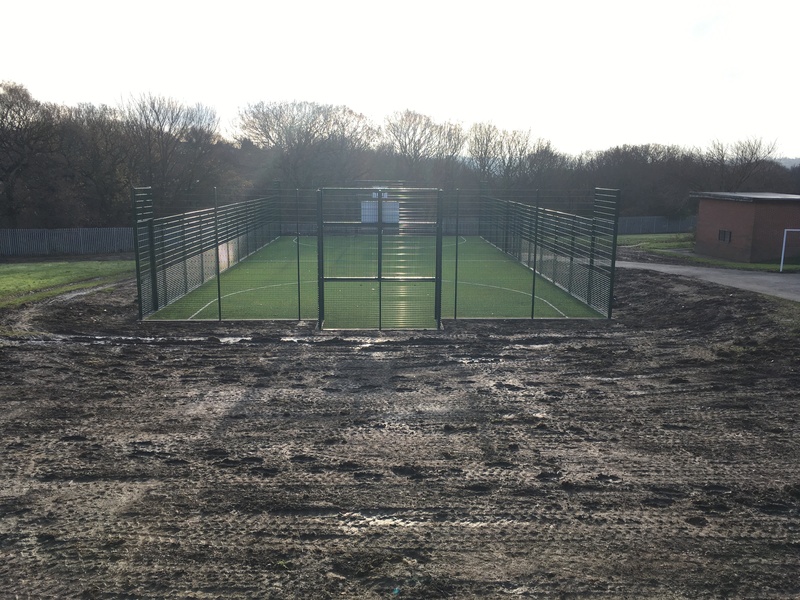 The base of the playing area was made up of sub-base, tarmacadam, a rubber shockpad and finally a LigaGrass Pro carpet. 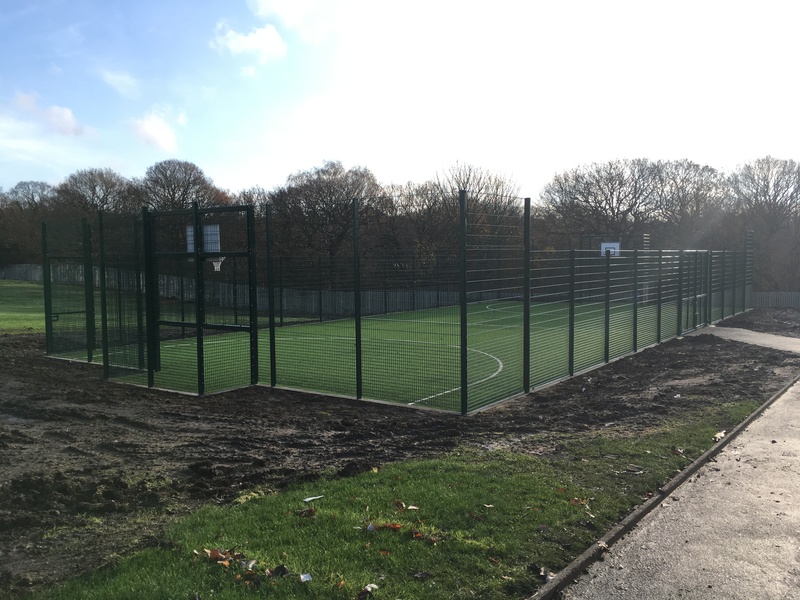 We then installed a 3m high ballcourt system barrier around the MUGA, which was raised to 4m high at the ends.